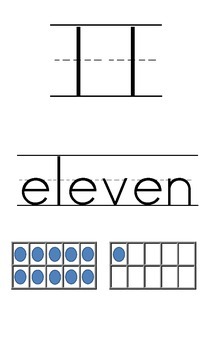 Each page displays a single number including 0-20 in numeral form, ten frames and word form in primary print font. 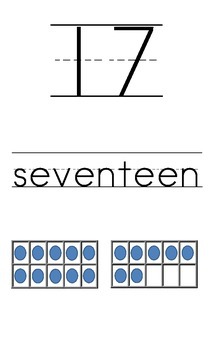 These are great tools to use to post in the room or at a center for students to learn all forms of the numbers required of them in the Common Core Math Standards. 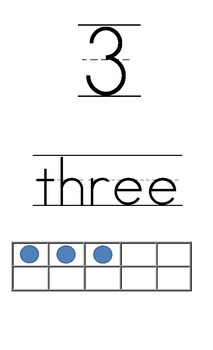 They can be printed in black and white or in color and laminated for durability to be used in multiple lessons for number sense.